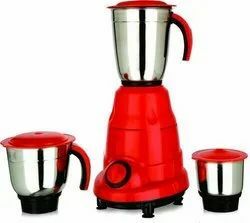 Prominent & Leading Manufacturer from Mumbai, we offer mixer grinder and unimix mixer grinder. Supported by our excellent team of the market, we have been able to manufacture and export our customers the excellent functioning Unimix Mixer Grinder. The offered mixer grinder is designed and assembled by utilizing premium quality components in conformity with international market standards at our well equipped production unit. These mixer grinders are demanded for preparing foods and other kitchen applications such as blending and grinding. The offered Unimix Mixer Grinder can be easily availed from us at an affordable price.